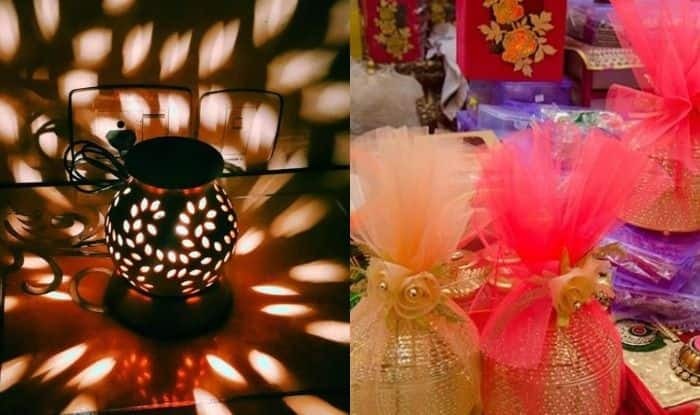 Diwali, one of the most important festivals of Hindus is round the corner and people are busy buying some wonderful gifts for their loved ones. The history of the day is known to all. It symbolises the victory of good over the evil. Lord Rama returned to Ayodhya after ****ing Ravana and thus, people celebrated Diwali. Well, this is known to all that exchanging gifts is a very old tradition. But, as the market of gifting has evolved, there are many options available for everyone. In fact, many online shopping portals are also offering huge discounts. So, have a look at some of the items that you can buy for your friends and family. These can never go out of fashion. If you don’t want to give branded chocolates that you have already gifted before then you can find some beautifully packed and gift wrapped handmade chocolates in bakeries. People prefer to give useful gifts these days. Thus, many beautiful decorative items are available in the market. Colourful diyas, beautiful lanters and there are many other options that will surely make your friends smile. Looking at discounts that are being offered, you will get everything under affordable prices. Being an elder sibling is a big responsibility. Apart from getting all the love from parents, you have to fulfil the demands of your younger brother and sister as well. Thus, this Diwali you can make your parents or siblings smile by gifting them a brand-new Smartphone. Don’t forget to look at all the exciting offers that are going on. Religious idols and statues bring positive vibes. These are the perfect gifts for your loved ones on this auspicious occasion. You can buy the beautiful idols of Lord Ganpati and Goddess Lakshmi to gift on this Diwali.